The Mahindra Mojo is the flagship motorcycle in the portfolio of Mahindra Two Wheelers Ltd (MTWL). While the company made a lot of noise back when it finally introduced the high-capacity motorcycle after years of delay, all the hype hasn’t really translated into a decent sales performance. On the contrary, the Mojo has been comprehensively outsold by immediate rivals like the Bajaj Dominar 400. Mahindra, however, is now planning to give the motorcycle a new lease of life. Seen here is the first-ever image of the Mahindra Mojo electric bike. 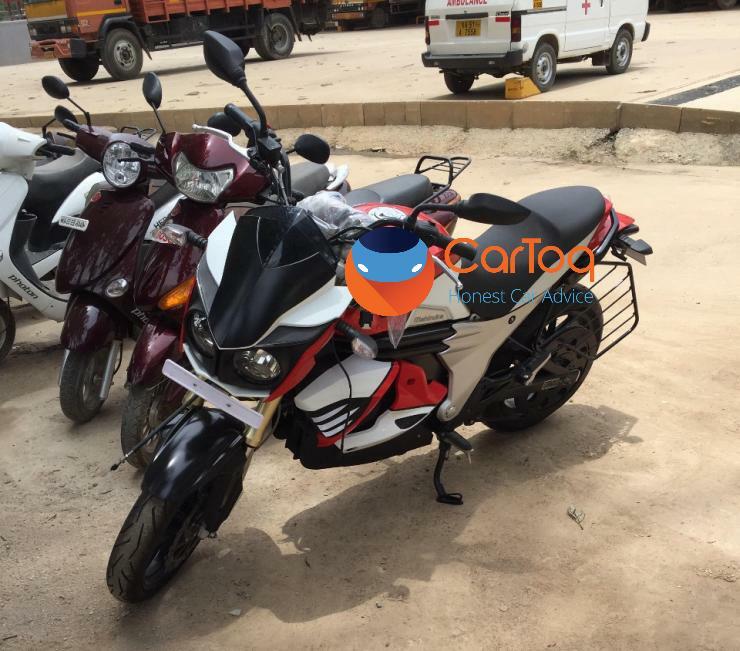 The prototype of the upcoming all-elecric variant of the touring motorcycle from Mahindra Two Wheelers was spotted outside the Bosch factory in Bangalore. In all likelihood, the electric powertrain of the motorcycle is being tested by the component manufacturer. The Mahindra Mojo electric bike won’t have any direct rival as it will become the only all-electric offering in its segment. As seen in the image, the final drive chain and the chain sprocket system of the motorcycle as been replaced with a belt drive unit. Also, thereis no exhaust system on the motorcycle. No gear shifter can be spotted either. The powertrain has been fully covered. What further confirms that this one’s a Mahindra Mojo electric model is the fact that the motorcycle has been parked alongside several other electric vehicles. Currently, the Mahindra Mojo is powered by a 295cc, single-cylinder petrol engine that outputs 27.2 bhp of maximum power and 30 Nm of peak torque. 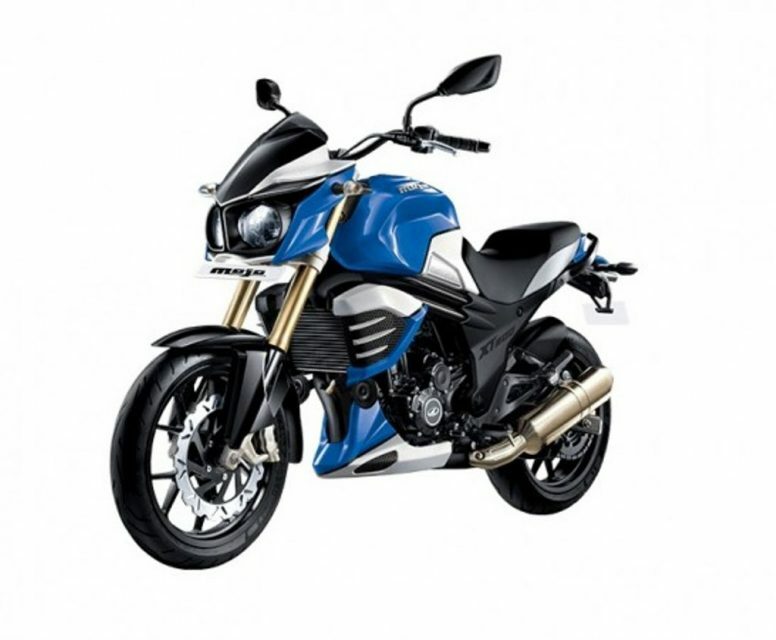 The motor comes mated to a six-speed transmission and the motorcycle has a kerb weight of 165 KGs. The Mojo can hit a top speed of 155 kmph. Specifications of the Mahindra Mojo electric bike aren’t available at the moment. However, with the sighting of the Mahindra Mojo electric bike’s test mule, it becomes clear that the manufacturer is yet to give up on its most ambitious motorcycle. The fact that the Mojo will become the only all-electric offering in its segment just might work in its favour. What remains to be seen, however, is if the company would be able to price the upcoming model realistically. Also, we wonder if the electrification of the Mojo will rob the motorcycle off some of its performance credentials. Well, only time will tell. Stay tuned for more on the Mahindra Mojo electric bike.